Design is thinking made visual - I.A. Design is thinking made visual.Make your home the perfect backdrop for the life lived inside.And interior design is making the best possible use of the available space.You know that I am an interior designer and graduated architect so I love furniture and design. I found amazing and a modern furniture store specialazing in contemporary and modern furniture Modani . Favorite space in my home is living room. 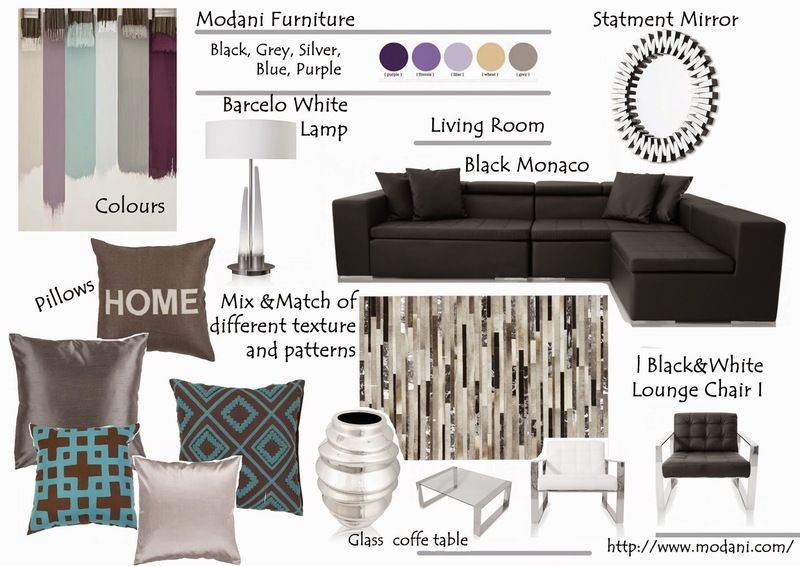 So I made 2 mood boards for inspiration using two key pieces Onyx white sofa and in second one Black Monaco sitting set.All pieces are from Modani store. What do you think? great inspiration, love the sofas and the pillows! U svidjaju mi se obe kombinacije. Ja upravo renoviram dnevni boravak i moje kombinacije su siva, bela i ljubicasta (sa dodacima srebrne i metala). 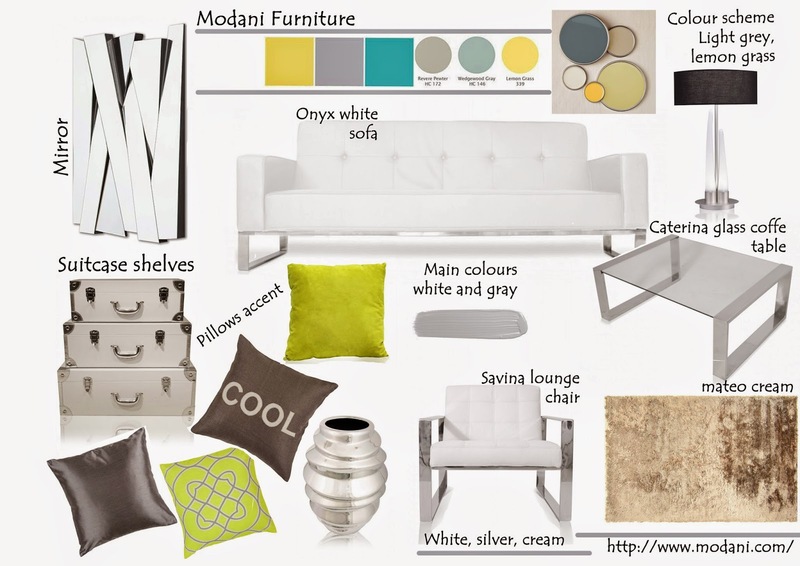 Beautiful mood boards! I love that huge black sofa! You have chosen really beautiful interior! Love this kind of interior really. I love interior design ! I love these interior design pieces! Moj momak završava arhitekturu. Trenutno ga muči mehanika ali radi dosta projekata...tako da sam pored njega dosta slušam o arhitekturi. I like the second one!! Izvanredan dizajn! Bas mi se dopada!! !